My name is Tima and I have been serving on staff with our church for 5 years. I have a passion for worship. I want to see all people come to know and worship our Lord and Savior Jesus Christ. I am passionate about changing the culture in our country to be a culture of heavenward worship. It may seem odd but there are few people in the former Soviet Union with such a passion. 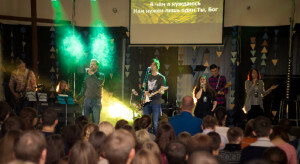 For the last few years, only 5 worship albums are being released each year in Russian for the ENTIRE former Soviet Union! Can you imagine that for the more than 200 million Russian speakers in the former USSR there are only a handful of new songs each year! I want to see the Lord Jesus so captivate my brothers and sisters that we produce lots of albums from our hearts every year. How are we changing the culture? I lead, mentor, and train new musicians and vocalists for leading worship in our church and other churches in our nation. I am also responsible for writing and assembling new worship music in the Russian language. And for those who struggle to sing the Gospel, I also teach the Gospel. I lead a weekly Bible study and disciple young men. 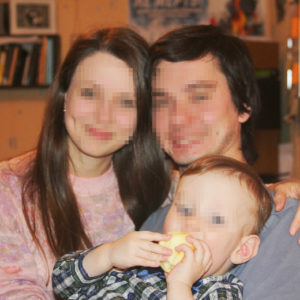 Further, my wife Katya is involved with the leadership team of our youth ministry. My wife and I are asking you to partner with us in bringing a new culture of worship to Country B and all Russian-speaking countries. To do this, we need $1,500 in monthly support. Would you be willing to join us in our mission by giving $50, $100, or whatever amount the Lord leads monthly? We are hoping for the first $500 monthly before March 15. Thank you for your consideration and partnership in the Gospel!